When I started capturing weddings, I offered both photography and videography. However, I quickly realised that I was more passionate about filming. Watching back over wedding footage gave me goosebumps and feelings that I never experienced with photographs. However, I had already decided on my website and branding before I came to this realisation, hence why my branding has (until now) been “Roam Photography”. I tried to justify the name “Roam Photography” in a number of ways (videographers and cinematographers can be described as Directors of Photography). However, I ultimately knew that Roam Wedding Films was a much more apt name. I truly believe that you can’t master both wedding photography and videography, and although I certainly don’t consider myself a master, I love that I can develop and concentrate solely on videography. 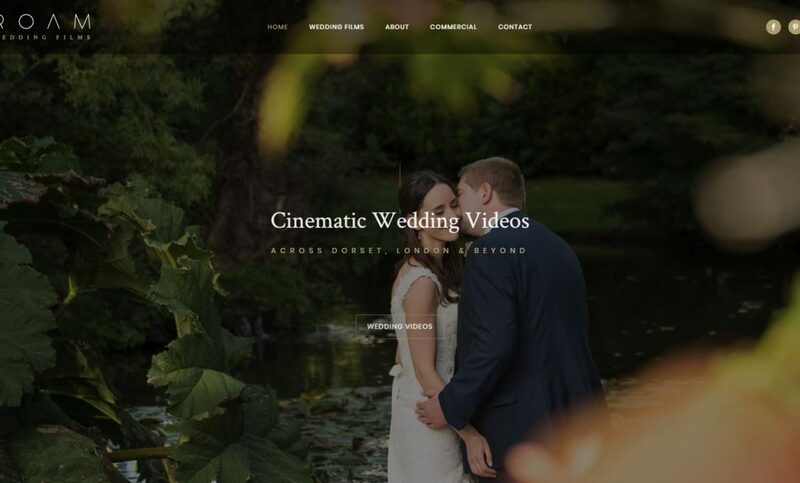 I think that many wedding couples understand that and as such, I wanted my brand and website name to reflect that I am committed to the wonderful art of wedding films. Please take a browse and brownie points to anyone who spots (and informs me) about any typos!